Legal Malpractice Insurance Mass Tort Lawyers, Attorney Liability Insurance Mass Tort Lawyers: aggressive comparison shopping to find you the broadest coverage at the best price. ‘A+’ insurers. Free quotes. 1-page app: download below or apply on-line. We accomplish this by scouring the market on firms’ behalf, leveraging our access to dozens of “A”- rated legal malpractice insurers. We also provide attentive service, expert advice, and strong coverage advocacy, if you incur a claim. We even help firms that require limits >$5 million, have offices outside of the US, or have had their coverage non-renewed. We’ll send your application to all viable insurers, based on your firm’s risk profile, contact you when we receive their quotes, and answer all of your questions. Mass tort law is considered to be ‘high-risk’ for malpractice claims, so mass tort firms generally can’t obtain coverage from the major standard market insurers, like AIG, Travelers, Hartford, etc., which cover most firms. Mass tort firms must instead shop in the “hard-to-place-risks” market, which has fewer insurers and higher premiums. Over a dozen insurers offer coverage to mass tort firms, but the best terms usually come from Lloyd’s of London, StarStone or Kinsale Insurance Company. Policy limits are a key determinant of the premium. They’re expressed as “per claim / all claims incurred during the policy year”, i.e., limits of $100,000/$300,000, which are the minimum the insurers offer, mean that the insurer will pay a maximum of $100,000 for any claim that the firm incurs and reports during the policy period, which is one year, and a maximum of $300,000 for all claims that it incurs and reports during the policy period. The next level of limits is $250,000/$250,000, then $500,000/$500,000, $500,000/$1 million, $1 million/$1 million, $1 million/$2 million. Each increase in limits adds about 10% – 20% to the premium. The policy covers legal fees and other defense costs, and any judgment or settlement paid to the plaintiff. However, as legal fees are paid, they’re deducted from the per claim limit, leaving that much less to pay any judgment or settlement. If the limit is used up before the claim is resolved, then the firm has to pay any additional sums out-of-pocket. The cost to defend a legal mal. claim against a mass tort attorney is generally $75,000 – $150,000 through the filing of a Motion to Dismiss, and at least $250,000 through trial, if necessary, so we encourage firms to carry a per-claim limit of at least $500,000 per attorney. *A 2-atty. firm will pay about 70% more than a solo at each of the policy limits shown above, i.e., about $8,500 for a $1M/$1M limit. *The premiums above are for a policy with no prior acts coverage, i.e., no coverage for legal services that you provided before the inception date of your policy. Each year that you renew, the renewal policy will have an additional year of prior acts coverage, back to the inception date of your first policy. Because of this, the premium rises about 15% – 20% in each of the first five years that renew your coverage, i.e., years 2 – 6. Thus, it’ll roughly double over that time from the premiums shown above, independent of any other factors that affect it. However, prior acts coverage is essential, because most legal malpractice claims aren’t filed until 1 – 4 years after the underlying error was made. *The premiums above are for an attorney who has no malpractice claims or bar disciplinary history. Attorneys who have such a history will pay an additional 25% – 100%, depending on the number and severity of incidents. *You can finance the premium over nine months at a low APR, with 20% down. To get the best terms, make sure that your broker solicits quotes for you from all three insurers mentioned above, as well as all other viable insurers, based on your firm’s risk profile. We scour the market to find the best terms for each firm, leveraging our access to all of the “A”-rated legal malpractice insurers that cover Mass Tort firms. A 3-attorney Mass Tort firm asked us to obtain competing quotes, after its malpractice insurer offered a renewal quote of $19,132. The firm’s current premium was $17,131, for policy limits of $2,000,000 per claim/$2,000,000 for all claims, and a deductible of $25,000 per claim. We sent its application to eight “A”-rated malpractice insurers; seven offered quotes. The best quote was $15,218 for the same terms as the current policy. We had also solicited quotes at higher policy limits, and the same insurer quoted $16,923 for limits of $4,000,000 per claim/$4,000,000 for all claims. The firm accepted it, and thus doubled its per claim limit for less than its current premium, due to our aggressive shopping. We’ve obtained similar results for many other Mass Tort firms. Can we do so for your firm? The only way to find out is if we obtain proposals for you. The larger point is that most attorneys don’t comparison shop, and thus often buy inadequate, overpriced coverage. Why? Because they don’t realize that legal malpractice insurance pricing is imprecise and highly variable, or that the market is intensely competitive. The premiums that a legal malpractice insurer charges are essentially guesses, because it doesn’t know how much it will spend to defend and settle claims, which are its biggest expense. Further, pricing varies widely among insurers, i.e., the highest competing quote that the firm in the example above received was 38% more than the lowest proposal, for identical coverage. This shows how important it is to comparison shop. In fact, a firm that doesn’t comparison shop at least every third year usually receives inferior terms, because its insurer has no competition for its account. If your firm does shop, and it’s well-managed and has a good claims record, then 6 – 8 “A”- rated legal malpractice insurers will likely offer it quotes, some of which may be much better than its renewal quote. 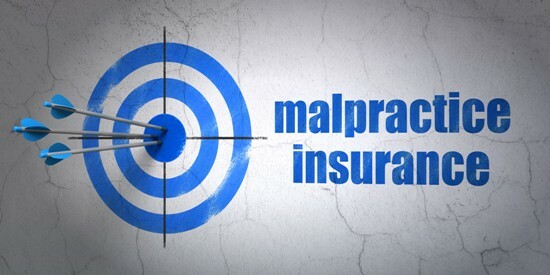 If you’re ready to get the best terms on your firm’s malpractice insurance, download, fill out, and return this one-page premium estimate form and this Class Action Supplement. Together, these documents will give the insurers enough information about your practice to provide you with “ballpark” terms, without your having to complete a full application. We’ll send the information to all suitable insurers, and contact you as they respond. If you like any of the estimates that we obtain, then you can complete a full application, and provide any other information that the insurer needs to offer you a firm quote. The firm quote usually matches or is very close to the estimate. New Class Action/Mass Tort firms of all sizes. Established firms of all sizes. Special situations: Class Action/Mass Tort firms that have had their malpractice insurance cancelled or non-renewed; are merging or disbanding; are in or emerging from bankruptcy; etc.